How to unlock Samsung Galaxy S9+ by code ? Unlocking Samsung Galaxy S9+ by code is the easiest and fastest way to make your device network free. It doesn't interfere in your system or change it in any way so even after using our code, you don't loose your warranty. In order to receive a network unlock code for your Samsung Galaxy S9+ you need to provide IMEI number (15 digits unique number). It can be found by dialing *#06# as a phone number, as well as by checking in the phone settings of your device. Samsung network unlock by code is the perfect option for all Samsung models. SPCK - service provider code to reset second level of lock. Depending on the information you have about your Galaxy S9+. You can use a service based on the country or continent from which it comes from. For your Samsung Galaxy S9+ you can use the following services: Europe, USA, Canada, South America, United Kingdom, Ireland and many more. All new Samsung Galaxy S9+ coming from T-Mobile USA or Metro Pcs USA with "Device Unlock App" can be unlocked by a Device Unlock App service. For unlock Samsung Galaxy S9+ following options are available. If you don't know which option use for unlock your phone, please contact us. We will help you choose the right product for your phone. Unlocking instruction for Samsung Galaxy S9+ ? Entering the unlock code in a Samsung Galaxy S9+ is very simple. There is also a special RGCK (regional lock code) code sometimes provided. Please use the RGCK code the same way as the NCK code. 3. Samsung Galaxy S9+ is now network unlocked !!! NCK, MCK or SPCK for Samsung Galaxy S9+ ? In order to unlock Samsung Galaxy S9+ network blockade, you need a NCK (network) code. If the code counter is blocked, you will need MCK (unfreeze) code as well to reset the code counter. If Samsung Galaxy S9+ has a blockade for a subnetwork like Tesco or Virgin you need to use a SPCK (service provider) code. What is a Samsung Galaxy S9+ network lock? Most devices bought on a contract from a network provider are network blocked. 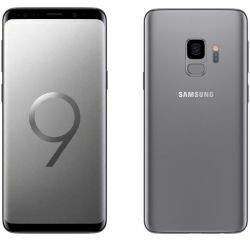 It means that the Samsung Galaxy S9+ can only receive signal from one network. If you insert a simcard from a different network, the device will ask for an unlock code, or will show the message that this simcard doesn't work. Networks that can be unlocked include: AT&T USA, Orange, EE and many more. What is unique unfreeze code (mck) ? Phone freeze is a result of the incorrect code being inputted too many times, which means your Samsung Galaxy S9+ is Hardlocked. You will require a Defreeze (MCK) code and a NCK code to unlock your phone. There are different types of unlock codes for your Samsung Galaxy S9+. One of them is called unfreeze code, which is used to reset the code counter in your device. Samsung Galaxy S9+ usually have 3 TRIES to enter the unlock code. The biggest problem is that the phone doesn't show the code counter and there is no way to check. If you want to unlock a Samsung Galaxy S9+ with a blocked code counter, you need the unfreeze code. The code can also be used to remove a regional blokade if you want to travel to different countries. Video Help film shows what you should do, to enter an unlock code to Galaxy S9+. Die Anleitung hat nicht ganz gestimmt, der Code kann ohne dem ganzen zeug vorher eingegeben werden. Hat aber damit einwandfrei funktioniert. Obwohl ich am Anfang etwas skeptisch war, bin ich wirklich positiv überrascht von dem Service. Innerhalb von 1,5 h war der Code im Postfach und hab ich sogleich eingegeben. Hat wunderbar funktioniert. Daumen hoch. Hat wunderbar funktioniert. Vielen dank. Szybko i sprawnie. ¦ci±gniêcie blokady trwa³o nieca³e 12 godzin. Gor±co polecam. Wszystko ok. Szybka realizacja i wszystko w porz±dku. Polecam. Excellent service , Galaxy S9+ unlocked for 30 min. Used this service to network unlock my Galaxy S9+. I initially had a problem unlocking my device and locked the SIM because i was entering the wrong one of the codes sent to me. However, I emailed for assistance, which was prompt and got the problem solved. Would definitely use the service again but the instructions provided on the website could be made a little clearer.